350 Hours of Battery life. 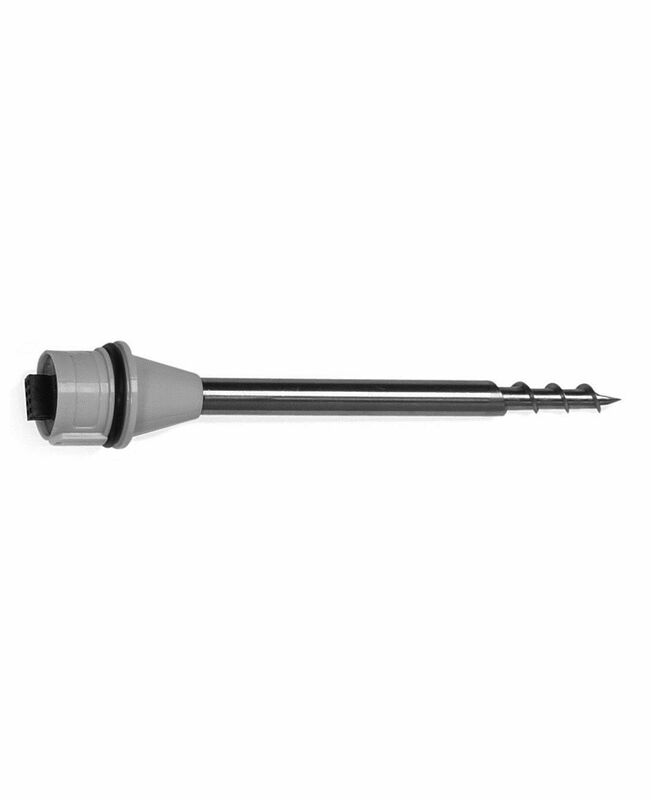 With a metal folding joint, a rubber-coated anti-slip surface & long and precise temperature sensor, the testo 104 comes with a whole host of practical features and benefits for use in the food industry. 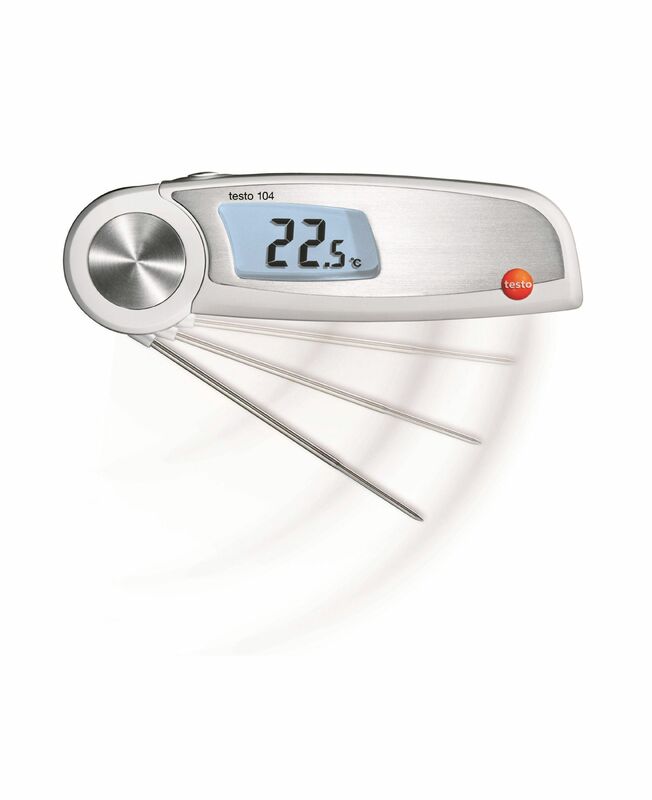 The testo 103 Mini Folding Thermometer is the smallest folding thermometer in its class – making it perfect for carrying out spot checks in the food industry. 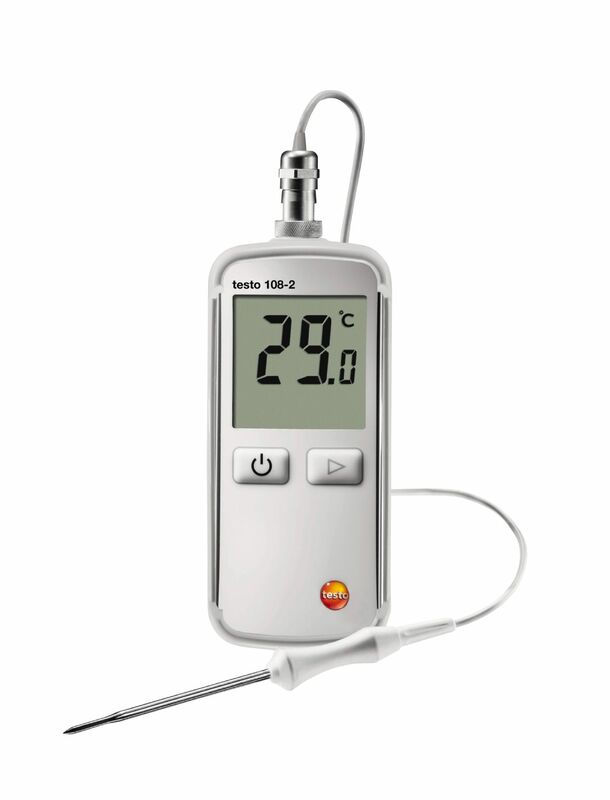 Practical for fast, safe temperature measurements in food controls. 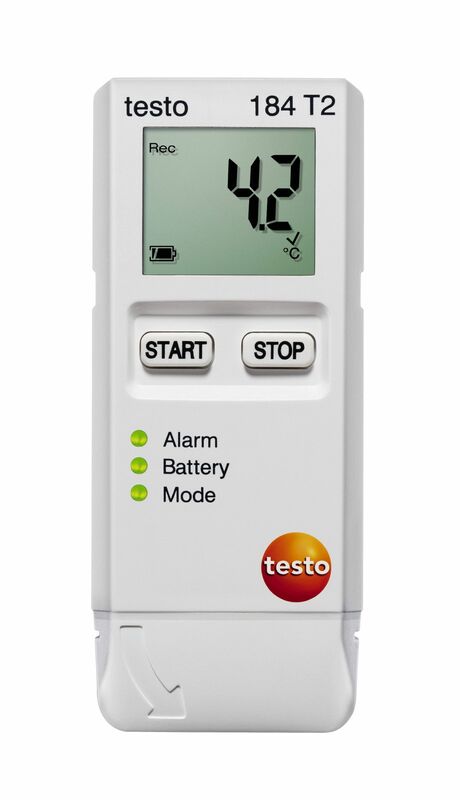 The testo 106 digital thermometer will be well equipped to measure the core temperature of products in kitchens, restaurant chains, supermarkets, or food in transit. 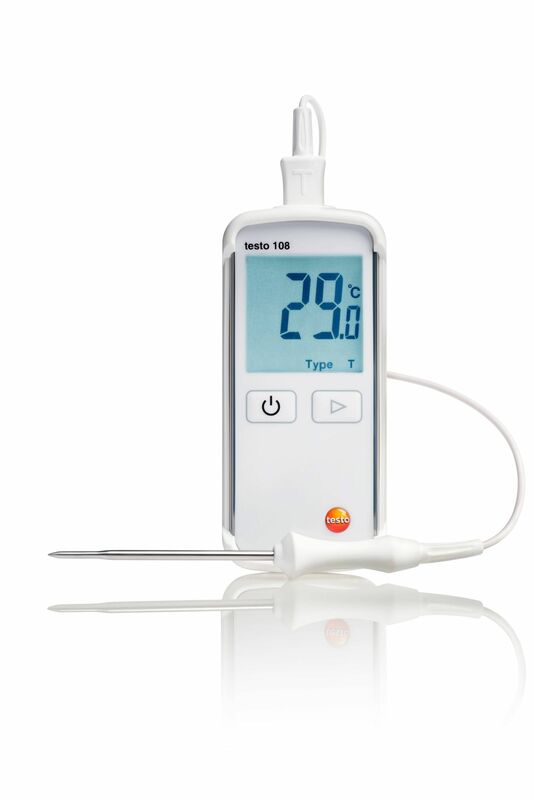 testo 105-1 Robust Food Thermometers are used in the food industry to measure the core temperature of semi-solid media like meat and cheese. That’s why they have to be especially rugged and reliable. 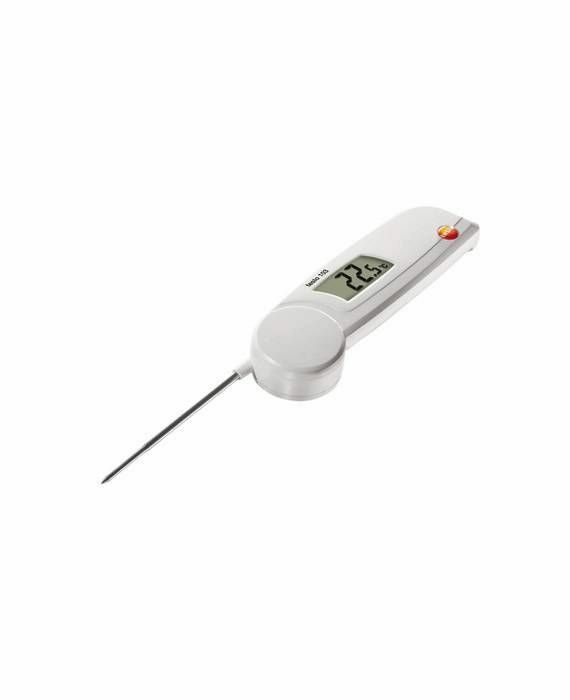 The testo 831 2 Point IR thermometer allows you to carry out quick and precise temperature measurements of whole pallets of food and smaller products from a distance. 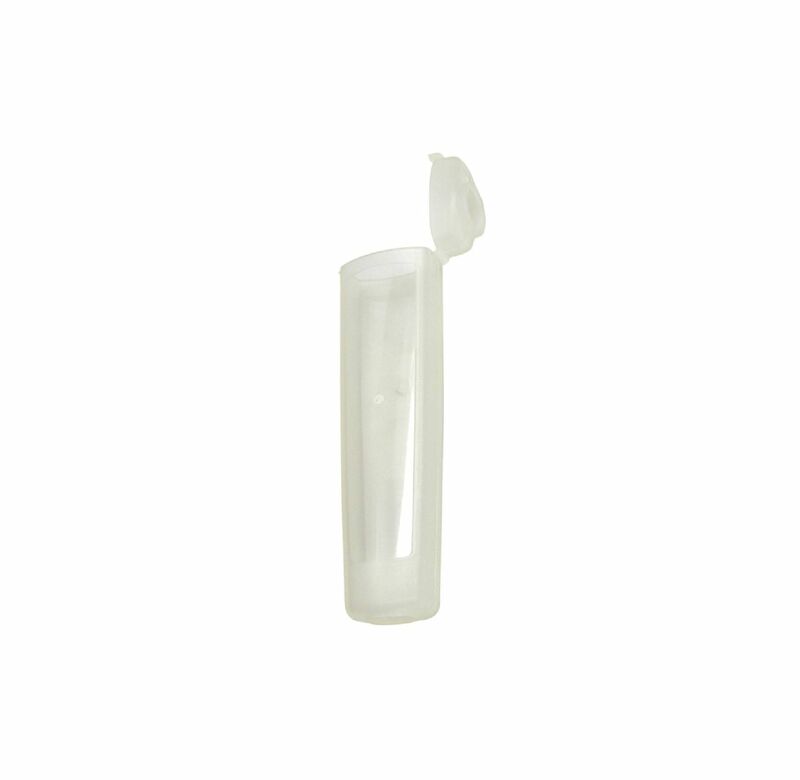 Ideal for checking the temperature of incoming goods and for use in food production. 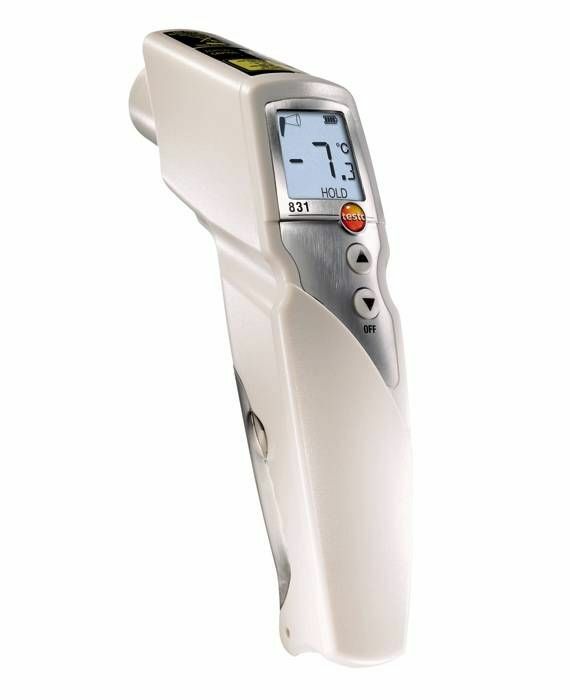 The testo 108-2 Probe Thermometer allows spot check measurements in seconds. Whether in the transportation and storage of foodstuffs, in restaurants, in large kitchens or in chain restaurants. If you want to measure temperature, this instrument is all you need. 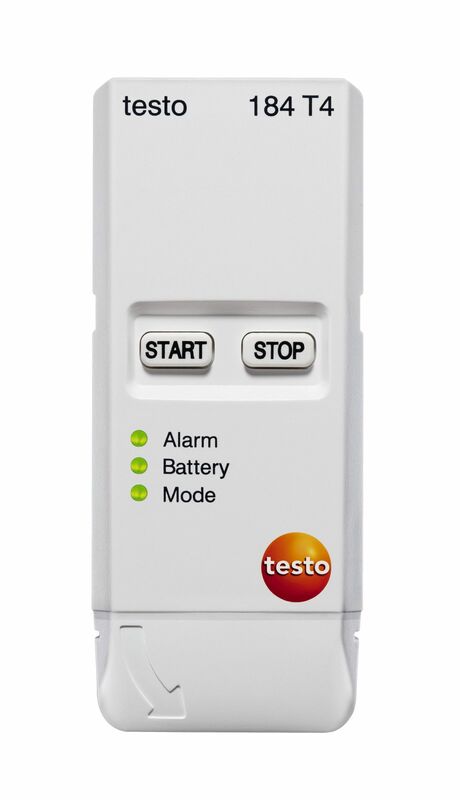 With the testo 184 T2 temperature logger, you can now monitor the transport of sensitive products, such as pharmaceuticals, food or electronic items, both safely and conveniently. 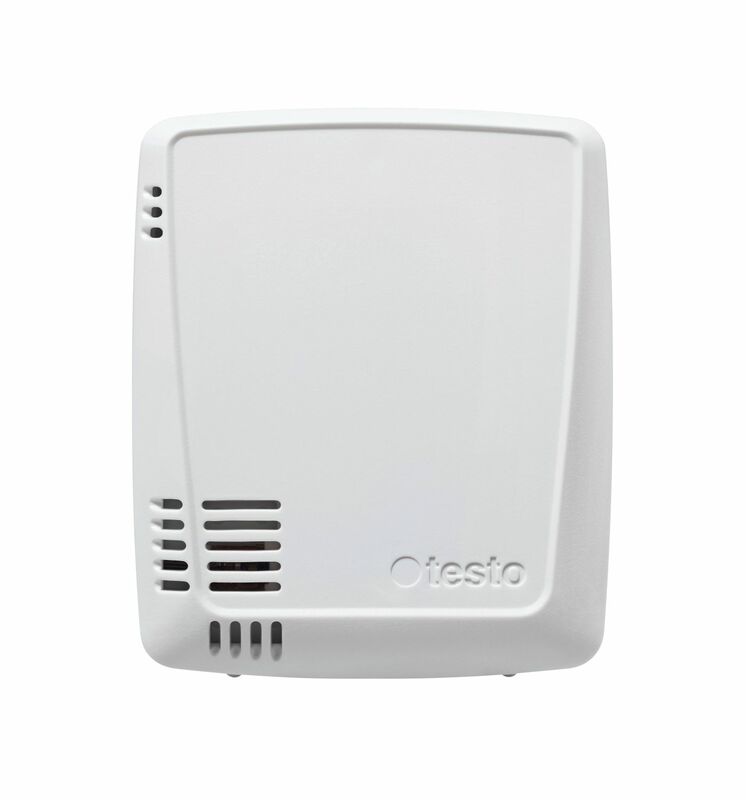 A start and stop button means the temperature logger guarantees really easy operation for data recording. At the destination, a glance at the display or the LEDs tells you whether the configured limit values have been adhered to during transport. 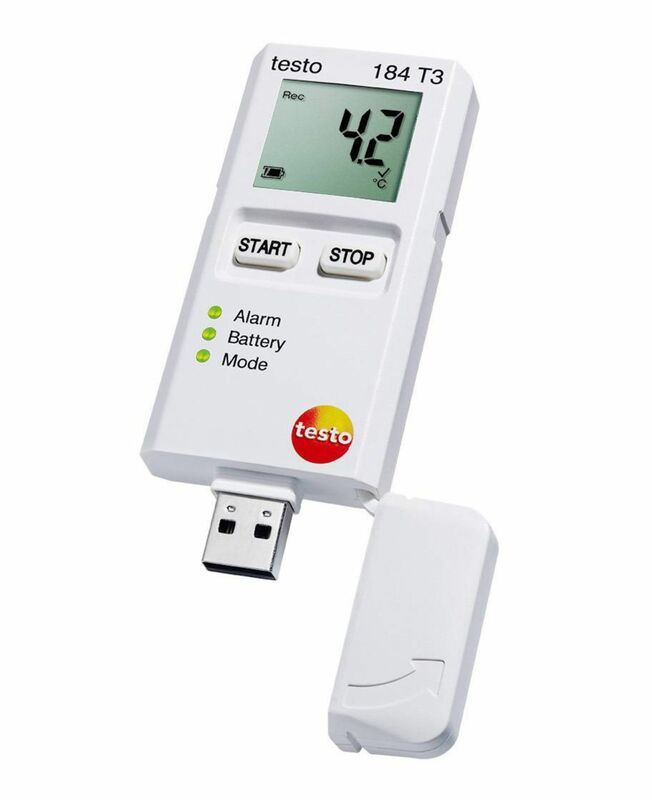 With the testo 184 T4 temperature data logger, you can now monitor the transport of pharmaceuticals with dry ice both safely and conveniently. 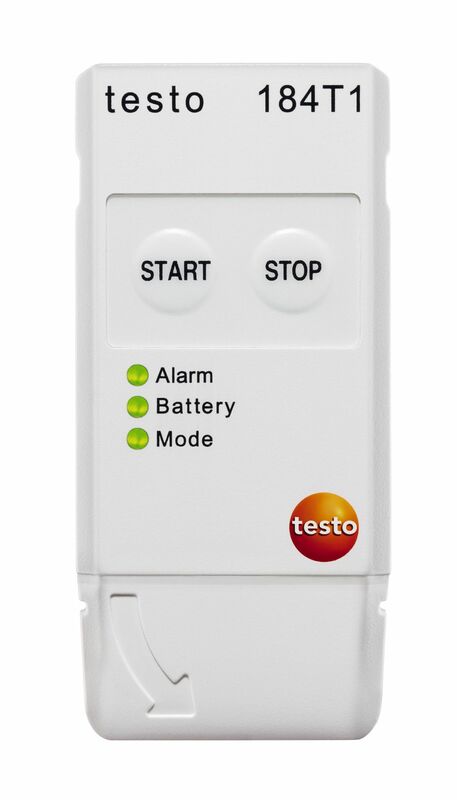 A start and stop button means the temperature data logger guarantees really easy operation for data recording. At the destination, a glance at the LEDs tells you whether the configured limit values have been adhered to during transport. The waterproof TopSafe protective case protects the measuring instrument against impacts and dirt. Use the frozen goods tip (length: 95 mm) in combination with the appropriate measuring instrument (e.g. 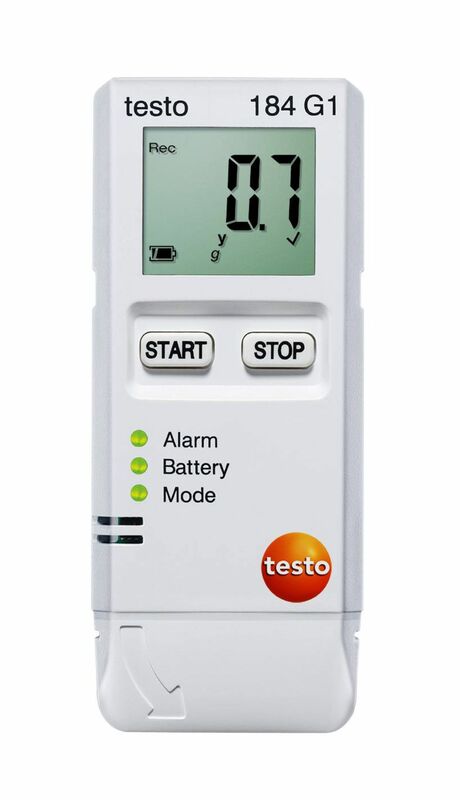 testo 105) for the temperature measurement of deep-frozen goods.